The primary altar at Wat Phou (pronounced vat pu) in Champassak has three main large Buddha statues. However at the base of them are additions done by both monks and lay followers. 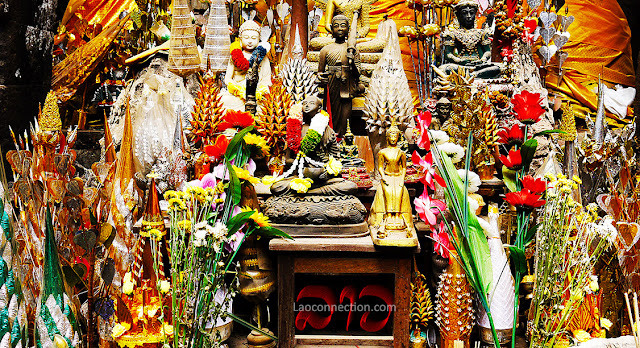 As seen in this photo, we see offerings, decorations and adornments that include flowers, additional Buddha statues, handmade paper stupas, and flower garlands. It's particular packed after a big celebration. See if you can pick out any other additional items.